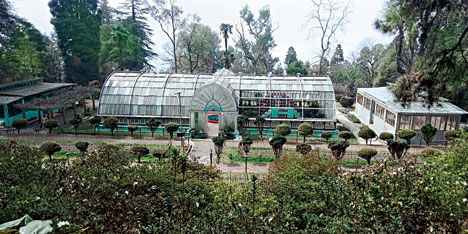 Siliguri/Darjeeling: Visitors to Darjeeling's Botanical Garden may soon have the option of staying in cottages, officials have said, a week after chief minister Mamata Banerjee stressed the need to boost tourists' lodging facilities. State tourism minister minister Gautam Deb, who toured Darjeeling last week to oversee tourism projects, said the plan was to develop tourist infrastructure even in lesser-known tourist spots of north Bengal to offer visitors a bouquet of choices. "The chief minister wants more destinations, with appropriate accommodations and other facilities, to come up in the hills. That is why we checked out some lesser-known sites which can be improved to boost tourist footfall," said Deb. This year, the hills have witnessed an unprecedented flow of tourists during summer, and even after the monsoon started on last month. The hill residents - a large section of them are dependent on the industry and were badly hit during the shutdown of last year - could make brisk earnings this time. The push is seen as an indication that Trinamul will play the tourism card in next year's Lok Sabha polls to drive home the message that the state's initiatives to restore peace have revived and, in fact increased, tourist flow to the hills. Last week, Deb first went to the century-old Lloyd Botanic Garden, spread over a sprawling 40-acre area. "The minister discussed how the garden, set up in 1878, can be improved to attract tourists. There are also plans to build cottages so people can stay in the garden," said an official of the state forest department that looks after the garden. During his trip, the minister also went to Jorepokhri, a tiny hilly hamlet located around 20 km from Darjeeling. "We have come to know that the state tourism department has plans to renovate the existing government accommodations in Jorepokhri. It is a lesser-known site but can draw travellers," said a tour operator based in Siliguri. He also went to Rangbhang, which is on the outskirts of Mirik and named after a local stream. "Development works are in progress at Mirk. Work is also going on at the bank of Sumendu Lake. With Mirik getting an infrastructural boost," said a source. Visitors to Darjeeling's Botanical Garden may soon have the option of staying in cottages, officials have said, a week after chief minister Mamata Banerjee stressed the need to boost tourists' lodging facilities.